Il venait alors de dépêcher à Kinshasa auprès du président Joseph Kabila au moins deux de ses ministres. Le président Mbeki avait voulu associer à ces travaux le Gouvernement de la RdCongo et le MLC (Mouvement de libération du Congo de Jean-Pierre Bemba) mais ceux-ci, invoquant diverses raisons, s’étaient excusés. Le conflit congolais ayant un impact au niveau de la communauté internationale, le président Mbeki a rédigé, à l’issue des travaux de Cape Town, une lettre-rapport qu’il a adressée au président américain George Bush, au premier ministre britannique Tony Blair, au secrétaire général Kofi Annan, au président nigérian Obasanjo, au président algérien Bouteflika, au président gabonais Omar Bongo, au président de la SADEC et au secrétaire général de l’OUA/UA. On lira ci-après cette lettre - en anglais - dont «le Soft International» s’est fait remettre une copie. On apprend par ailleurs que le président Mbeki a fait rapport le 18 juin dernier au Cap devant son Parlement des travaux de Sun City. A l’occasion précisément de la séance de présentation du budget. Sans doute s’est-il expliqué devant les députés sur l’effort financier engagé par son gouvernement pour aider les Congolais à sortir du bourbier de la guerre. On sait qu’alors que les travaux de Sun City tanguaient, des médias sud-africains ont publié des articles très critiques regrettant que de l’argent sud-africain ait été si mal utilisé par les Congolais. 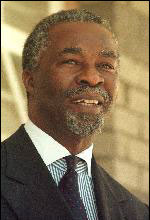 Mbeki qui va abriter à Durban du 8 au 10 juillet prochain l’historique sommet de l’OUA qui deviendra à cette occasion l’Union Africaine, UA, est donc le prochain président de l’Organisation Continentale. Du coup, il va hériter du très délicat dossier congolais. Depuis Kabila Père, Prétoria qui a parrainé l’arrivée du régime à Kinshasa, n’a cessé d’être accusé d’avoir pris partie pour le Rwanda et donc pour les mouvements insurrectionnels congolais. Il est vrai qu’il est le père-fondateur de l’accord de Lusaka qui est un incontestable succès de négociation pour les mouvements armés. Voulant mettre de son côté toutes les chances de réussir son mandat panafricain - et pourquoi pas obtenir pour son pays un second Nobel de la Paix - après son prestigieux prédécesseur Mandela, Mbeki se rendrait le 29 juin à Kinshasa à la rencontre de Joseph Kabila, qui détient les clés de la fin de la guerre. Il doit le mettre en confiance. Il croit mordicus que tôt ou tard le peuple congolais atteindra les objectifs qu’il s’est fixés lors du Dialogue de Sun City. La date choisie n’est pas un hasard : Mbeki pourrait être à la tribune d’honneur à l’occasion de la Fête de l’Indépendance du Congo, célébrée le 30 juin. Il pourrait y être avec d’autres tel Robert Mugabe. La rencontre de Kinshasa a lieu à la veille du sommet de Durban qui fera de Mbeki le président de l’UA. A ce sommet, Kofi Annan, le secrétaire général des Nations Unies présentera un plan pour la RdCongo rédigé au retour de sa tournée régionale par l’ancien premier ministre sénégalais, Mustapha Niasse, l’envoyé spécial du Secrétaire général des Nations Unies. Un beau programme à l’horizon. Ci-après la lettre au monde de Thabo Mbeki. As you know, South Africa provided the venue for the Inter-Congolese Dialogue, at the request of the parties to the Dialogue. The negotiations started at Sun City, South Africa, on February 25, 2002 and lasted for 52 days. The negotiations discussed five broad topics, as agreed to by the parties. At the point of adjournment, the Dialogue had reached agreement on four of these. The outstanding issue related to the matter of the Transitional Government. Towards the conclusion of the Dialogue, parties to the negotiations and the Facilitator, Sir Ketumile Masire, requested the President of South Africa to assist in the process of reaching agreement on the remaining single issue. The President then worked together with the Facilitator towards this end. Nevertheless, by the time the Dialogue adjourned, agreement on all matters pertaining to the Transitional Government had still not been reached. During the Adjournment Plenary Session, the Facilitator presented a report on the ground covered during the negotiations of the transitional Government,indicating agreement on the majority of the institutions required for the transitional government. Because final agreement had not been reached, the Facilitator proposed that the Dialogue should continue under a different format. This would reduce the number of participants from 360 to just over 30, without negatively affecting the representative and inclusive character of the dialogue. He further proposed that each of the components to the Dialogue should select it delegates and leave them behind in South Africa so that the negotiations should continue without any delay. Some of the components complied with this request. Others did not. As a result, it was not possible for the Dialogue to resume within the time period visualised by the Facilitator. During the Adjournment Plenary Session, some of the component delegations argued that the Inter-Congolese Dialogue had concluded its work. Accordingly, while agreeing that further negotiations were necessary, they insisted that these should take place outside the context of the Inter-Congolese Dialogue. Yet other component delegations, as well as the Facilitator disagreed with this view, arguing that the Dialogue had not completed its work. At the same Plenary Session, the delegations of the Government of the DRC and the MLC requested that the President of South Africa should continue to mediate the negotiations to conclude the one outstanding matter of the Dialogue. The participants and the Facilitator accepted this proposal. In keeping with this request, the President of South Africa invited the participants at the Inter-Congolese Dialogue to meet in Cape Town, South Africa, on May 8, 2002. The Government of the DRC responded to this request by proposing that the President of South Africa should enter into prior discussions with the component delegations to the Inter-Congolese Dialogue. The purpose of these discussions would be to get agreement on such issues as the format of the negotiations, the agenda, the timing and the venue. It therefore stated that, in its view, the meeting proposed for May 8, 2002 would be too early and would therefore not be able to attend. 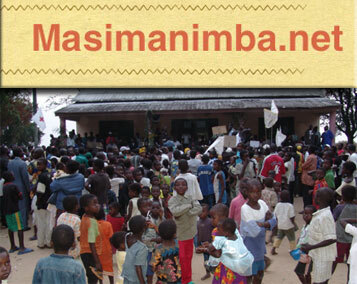 All other invited parties indicated their willingness to attend the meeting. Accordingly, they travelled to South Africa and held their own meeting. Due to flight problems, the MLC delegation could not attend the meeting and expressed its readiness to arrive in South Africa on the next available flight. However, this would have been too late for the meeting which took place on the 9/10 may. In issuing the invitations, the President of South Africa took account of the fact that while the Inter-Congolese Dialogue was in session, the Government of the DRC and the MLC had reached a bilateral agreement on the issue of the Transitional Government. This agreement was subsequently supported by a number of political parties, armed groups and the civil society component to the Dialogue. When the Cape Town meeting convened, the President of South Africa explained the steps he had taken to respond to the request made to him at the Adjournment Session of the Inter-Congolese Dialogue. As he had undertaken to the Government of the DRC, he presented the proposal of the Government of the DRC concerning the need expressed by the Government to have prior consultation and agreement about the matters indicated above. He also explained the circumstances for the absence of the MLC, as communicated to him by the MLC. The President of South Africa then proposed that the meeting should consider the proposal made by the Government of the DRC and reach its own conclusions, without the participation of the President of South Africa or any other representative of the South African Government. The parties present then met on 9/10 May, 2002 on their own. At the conclusion of their discussions, they presented an agreed document to the President of South Africa. They requested that he communicate the document to all parties concerned.Please find attached copies of the invitation of the President of South Africa to the Cape Town meeting and the document of the parties that met in Cape Town. This documentation, including this letter, is being sent to the interested parties for their information. It is our sincere wish and hope that the Congolese people, as identified in the Lusaka Agreement, will act together to conclude the negotiations on the one outstanding matter that remained unresolved when the Inter-Congolese Dialogue adjourned. Accordingly, we appeal both to the representatives of the Congolese people who met at Sun City, South Africa, and to all interested parties in the rest of the world to work together to bring about this delayed but urgent outcome.